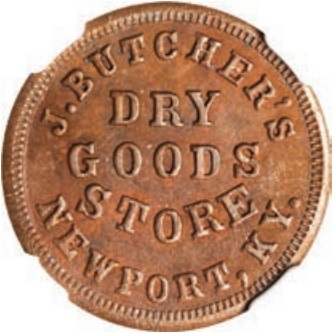 These Civil War Store Cards from Newport, Kentucky are ascribed to the shop of John Stanton. 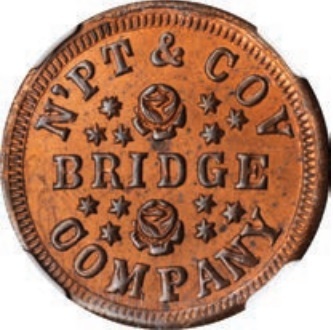 Stanton was the most prolific issuer of Civil War tokens in Cincinnati. His line of work centered on stamp cutting and branding devices.